Ali and I received a very unique opportunity to design custom pieces for a brand we’ve been long time fans of - Nike. As designers, there is nothing more exciting than custom projects as we get to create something completely new and to top it off, this project was for Nike. I have always been mesmerized with the idea of marrying two uncommon ideas to create something unexpected yet extremely beautiful -- this is an element of Haati Chai’s storytelling that really makes our brand unique and something I wanted to highlight for this project. We love a good challenge and our objective for this collaboration was to merge our aesthetic with the idea of air/open space. Ali actually touches on the design process in her recent blog post. Something both Nike and Haati Chai have always had in common is that our brands cater to people who are deeply invested in the idea of individuality and self expression. I was able to experience this firsthand in an intimate workshop we hosted at Nike (at the Grove) which took place a few days before the official Air Max 270 launch (3.26.18). We believe that style is an extension of one’s self - what you wear tells the story of where you have been, who you are, and where you are going. 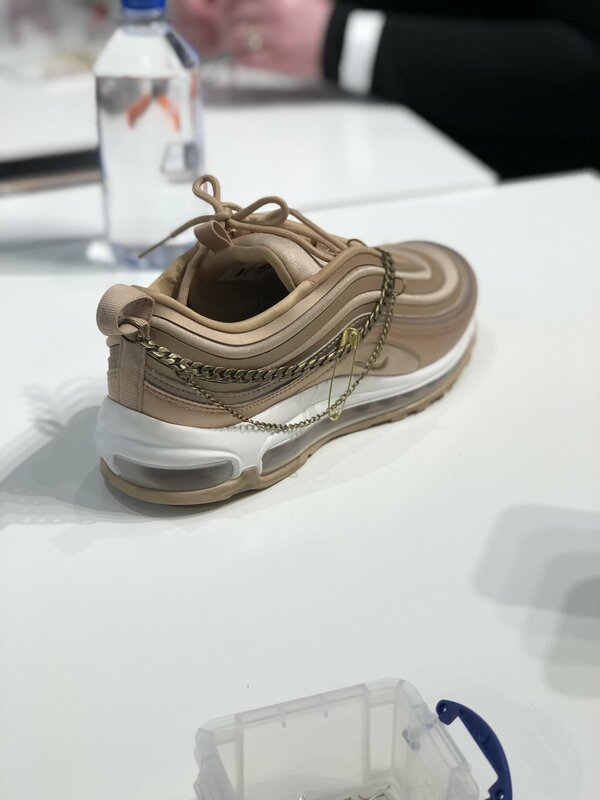 Aside from leaving with a customized shoe, Ali and I wanted to share with our guests the experience of not only creating pieces that resonated with them but also wearing said pieces with intention. The majority of our guests were inexperienced and had never attempted jewelry design prior. 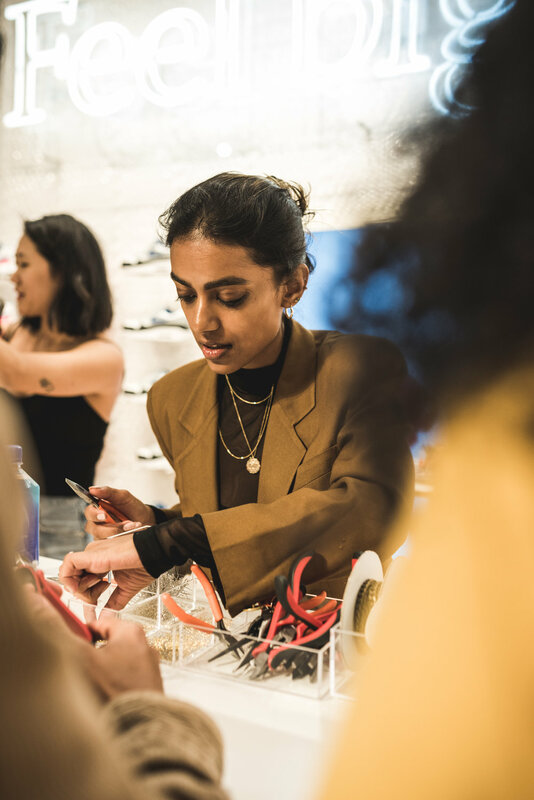 Through the design process during the workshop, our guests were able to experience how jewelry making can be both therapeutic and an avenue for creative release. Note these pieces are exclusively available at Nike at The Grove. Limited quantities.